I actually have one of these but in white and they are AWESOME for those of us that work full time and want a warm meal when we get home. Simply slap your meat, potatoes & veggies into it a few spices cover and put on slow cook. I was at my local Chinese Supermarket a few weeks ago and picked up one of these for $9.99, I also grabbed 4 Fuel Containers for $5.99. I’ve been interested in the Volcano II cook stove since reading about it in Backwoodsman magazine, so when Emergency Essentials offered to send me one for review, I jumped at the chance. Emergency Essentials had it deliver in less than a week. Very fast shipping. I like that. Waiting for five weeks for an order to be delivered is not my idea of a good time. This has never been the case with Emergency Essentials. Weighing in at over 20 pounds (with propane adapter) the Volcano Stove II was heavier than expected, it is a well-built unit but not one you would want to carry in a bug out bag, but that is fine, as it was never intended for such use. Where the Volcano II is most useful is as an emergency cooking source at home. With the ability to use several different fuel sources (wood, charcoal or propane with adapter and 20 lb tanks) it is versatile and well suited for it’s intended purpose. Breakfast is almost ready - now where did I put the bacon? Another great thing about this stove is that it isn’t one of those things you buy and put away for the when the shtf, it can be used everyday or on weekends while grilling at the park with family. Opening and closing the stove is easy, simply pull up on the handle and the stove pops open with the legs locked in place. To close the stove, lift up from the bottom and the stove folds in on itself, and the legs retract underneath for storage. You can grill right on the stove top, or use a skillet, griddle, pot, wok or 10-12” Dutch oven. Double wall construction minimizes heat transfer to the outside allowing use of the stove directly on any any surface such as a wooden table - you’ll notice I’m using the stove on top a sheet of plywood. Cleanup after using wood or charcoal is as simple as turning the stove over and shaking the remnants out and wiping down with cooking oil to prevent rust. When using propane you just have to let the unit cool and apply a coating of cooking oil before putting it away - in either case clean up isn’t a bother. Overall, I think the Volcano II is a great cooking unit and one of the better choices on the market. I have written the guys at the manufacturers to ask if they would ship one to me in SA from the US. No answers yet! It really is a slick little stove, I can see this thing lasting a VERY long time in heavy use! Humm I am wondering about ordering one, it's that good L?? Ha ha - it's pricey in our currency, but I know quality puchases always leave you smiling. I asked the US team to send me a purchase order so I can pay the bill! Will definitely let you know if I need help. Thanks! Now that looks real useful! It does look like I could possibly make one from an old LP gas bottle? Thought this might interest you. This "institutional" sized stove can of course be downsized and i think there might be some links on this page to smaller units to construct from food cans, paint tins and small pieces of vent piping. I thought I had an instructive (actual engineering drawings) link online, but have done something brilliant with it. And the engineering and design is quite simple in tolerances and measures. Let me show this one in hand and then the YouTube instructions on how to build. There's lots of options for construction for nothing or nearly nothing outlayed. Might consider that in times of trouble you could build for your neighbors or as a trade good. Rocket stoves are marvelous in that they are very stingy with fuel. Usually only a few wood scraps or twigs to boil a quart (liters) of water, fry eggs and bacon, etc. Also with very little smoke if you don't wish to prep a meal terribly publicly. Well worth a look. Silent friends are only good as pallbearers. Thanks for posting that Grist. I actually fell over that same link on the weekend and made up my mind I am building on of these devices in my new outside kitchen I am constructing at the back of the farm house. The Rocket Stove concept is very cool as you state - it consumes close to a 100% of the fuel content through stoichiometric process and produces no smoke and only clean waste. I copied some cool stuff ov the Rocket Stove, which I think I should poste here maybe, as it is well usefull! heat the higher mass of the stove body. before extracting heat to any surface (griddle, pots, etc.). to produce more gasses or charcoal than can be cleanly burned at the power level desired. stove body that increases draft. 5.) Do not allow too much or too little air to enter the combustion chamber. there should be the minimum excess of air supporting clean burning. chamber should be sized within the range of power level of the stove. larger and depends on usage. 8.) Arrange the fuel so that air largely flows through the glowing coals. Too much air passing above the coals cools the flames and condenses oil vapours. higher mass of the stove body, only exposing pots, etc. to direct heat. the cross sectional area of the flow of hot flue gases constant. And here is an informative site giving video tutorials on how to construct one!! You've taken it to the next level Sky. LOL Super Rocket... omg, next you'll be smelting metal to make your own cookware. There's another trick we sailors use to reduce our fuel expenditures. 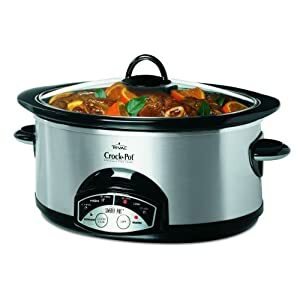 It is fairly easy to engineer using a quality pressure cooker and a wooden box stuffed with straw and wire to create an insulated vessel, whereby food and water in the pressure cooker is brought to a fast boil and as soon as boiling under pressure is taken off the heat and placed in the well insulated cooker box. Straw packed into a box that will fit the cooker and a tight fitting straw filled lid so that the entire vessel is nestled tightly. Then over the ensuing hours within the pressure cooker in the insulation and the food coming back to serving temperature (coasting if you will) in the super insulated box the meal has been completely cooked quite delightfully. I think likely your home is not starved for fuels to prepare meals, coffee/teas and perhaps soups by way of such a method, but onboard sailing vessels it's not uncommon to prepare all or most of the day's meals with the first watch's kitchen duties and before heading into the wind or onto a mixed sea or rough weather, both for economies and safety. I think you've got a great idea for your outdoor kitchen and think it's a grand idea in any environment with a warm season. Who needs to live with kitchen heat and smells through the night? Thanks for the upgrade. Great stuff that. Pressure cookers are magical instruments allowing one to bake bread on top of a stove as well if you're feeling a little adventurous. Your so right Grist - I am already melting lead and casting round balls for my muzzle loader. I am an avid target shooter for accuracy! So my heat sources are precious and I love my environment without having to burn down the forrest I live in! The more we share - the more we learn. I like your straw information and pressure cookers are so useful. My wife has one almost pasted to her hip, she is an avid preserver! I want to experiment with solar cookers too. We have good sun at 30 lat! The price of our electricity has doubled in the past four years! Cheap efficient and easy to make for a BOB. All you need is to print out these instructions and buy a box of wide aluminum foil and a can of black spray paint (less than $5). Save and clean several one quart glass jars with lids that many foods come in and some used cardboard (cost nothing). Snap Uncle John - the best design I have ever seen! Staright into my library and I am training my students with this NEXT weeK already! Uncle John here: You made me think of something Sky. Add a short plastic tube to the kit and one could make a self power atomizer. Wow. Without power my digital volcano will not work.